From Good Smile Company. New Production Run! 'Nice job! You're a great village major!' 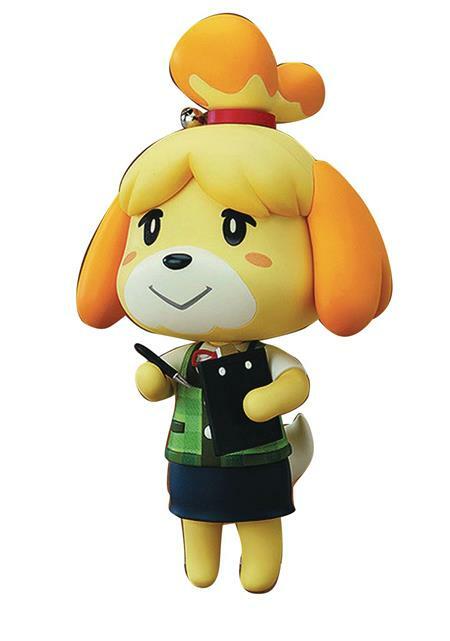 From the popular 3DS game Animal Crossing: New Leaf comes a Nendoroid of the village major's personal secretary, Shizue (Isabelle)! Her trademark hair accessory even includes a real bell, allowing fans to enjoy the iconic sound from the game. She also comes with optional parts such as musical notes to recreate popular scenes from the game, as well as a clipboard and pen to display her in the lovely pose from the official Twitter account. It's time to take up some village building with Nendoroid Isabelle!